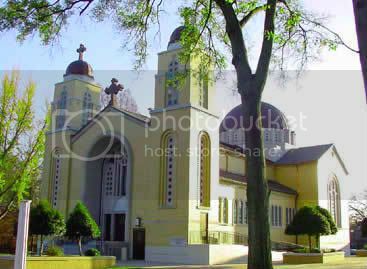 Charlotte NC Dilworth Community Event 9/4 - 9/7: GREEK FESTIVAL! If you've never attended the Yiasou Greek Festival in Charlotte NC, you don't know what you're missing! The Greek Festival has been known as one of Charlotte's premier cultural events since 1978! You won't want to miss this year's Festival September 4 - 7 at the Holy Trinity Greek Orthodox Cathedral, located at 600 East Boulevard in Dilworth! Experience the cultural sights, sounds AND tastes of Greece at the 31st annual event. You won't want to miss featured attractions including the choral performance by Holy Trinity's Cathedral Choir, the Byzantine exhibit or the Greek cultural exhibit which is one of the largest local collections feturing artifacts and coins dateing back to 500BC. There'll be a living history presentation of Warriors of Greece and live Greek music entertainment by Kostas Kastanis and his band who will be performing continuously throughout each day of the Festival. My favorite part of the festival is the FOOD! Holy Trinity's first cookbook won national acclaim and no one wonders why! It took SIX years to put together this fabulous cookbook that incudes many of the appetizers, entrees and pastries that will be served at the Yiasou Festival. A Taste of Greek Tradition can be purchased at the Festival for $22. This is a MUST-have cookbook! And a sampling of the fabulous food can be had by either stopping in and enjoying the Festival or they will have an outdoor carry-out service as well. You'll be able to sample roasted lamb, Grecian baked chicken, Athenian baked fish, Grecian style pizza, gyros (pronounced Yee-ros) and souvlaki sandwiches on pita bread, Grecian style chicken sandwiches (on pita bread, of course! ), tiropita (feta cheese pie), spanakopita, Greek salads, baklava, baklava sundaes, galaktobouriko, loukoumades, frappe (Greek iced coffee) and much, much more! They'll even have their famous wine tasting booth with Greece's finest wines available for purchase! So, take the light-rail (so you can enjoy the wines!) and plan to spend the day at the Festival of festivals in the heart of Dilworth! You'll keep going back year-after-year! Debe, Events like these are what I miss about living close to Boston, all of the ethnic festivals. I love Greek food (and I could get to like Uzo). Have fun! Debbie: I love this time of the year! The festivals are SO much fun and a great time to get out and visit in the community! That Greek food is just mouthwatering! Don: This is one of the most successful events in the area each year--being the 31st, I guess that tells you how successful! The food is a BIG part of this festival and I'm with you--I'd love to have one of EVERYTHING! Hi Debe, these festivals are so much fun. We have one here and it is a great time. You can really make a low cost family outing of the festival. Nice community happening post.